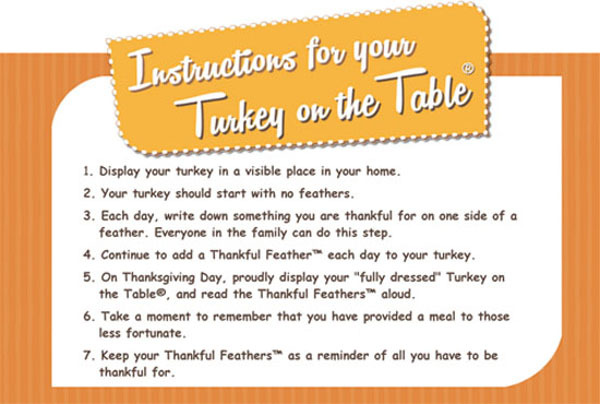 Turkey on the Table® is a book & activity that encourages the whole family to express and display their gratitude. As parents, we want to instill values in our children that help them understand and appreciate all of life's blessings. Cultivating a grateful heart helps create a happy child! 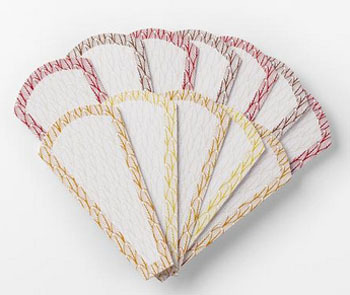 knowing that 10 meals will be provided to someone in need with each Turkey on the Table® sold. 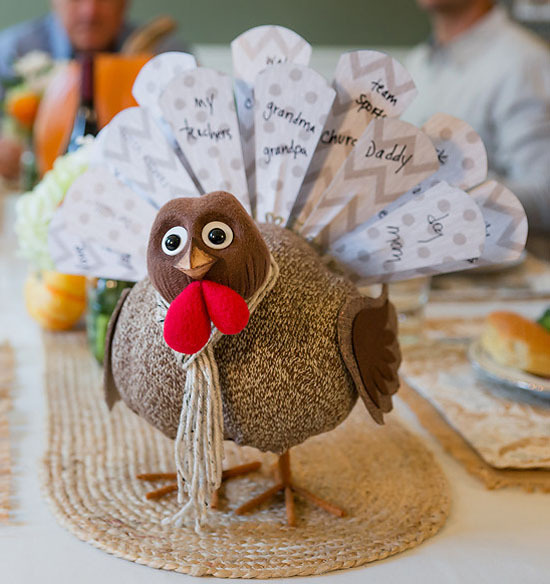 To date, over 102,000 meals have been donated by Turkey on the Table® through their partnership with Feeding America® . 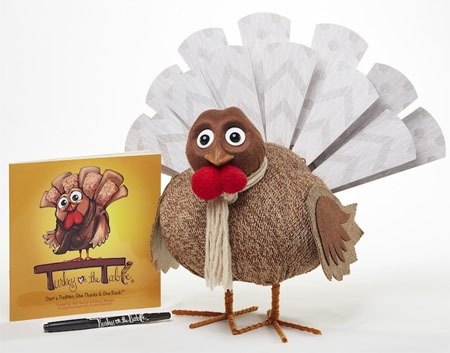 Kit includes an adorable knit turkey, customizable feathers with marker, and a heartwarming book. 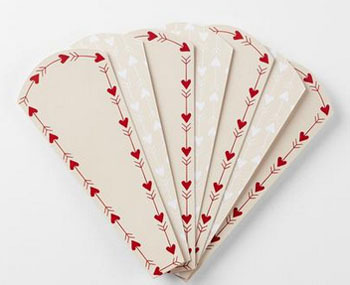 Thanks For Your Time! We Hope To Hear From You!